Fans of The Legend of Zelda: Majora's Mask know the significance of the Skull Kid character. He is the face of the upcoming The Legend of Zelda: Majora's Mask 3D for the Nintendo 3DS family of systems and, just like the game itself, can be described as mysterious and foreboding. Now fans can own a beautiful collectible Skull Kid figurine to accompany them on their adventures by purchasing the limited-edition The Legend of Zelda: Majora's Mask 3D bundle at select retailers at a suggested retail price of $49.99. 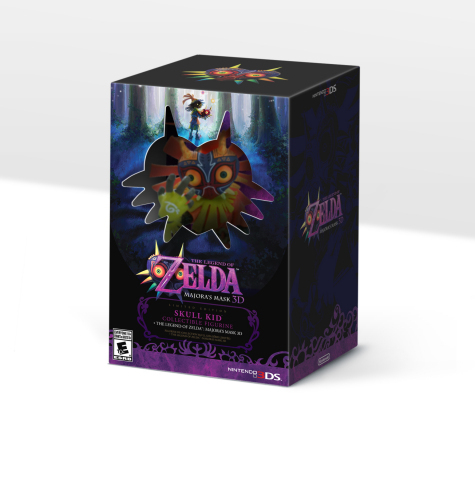 The bundle launches on the same day as the game and includes both The Legend of Zelda: Majora's Mask 3D game and the detailed Skull Kid figurine. The launch date will be announced at a future time. The Legend of Zelda: Majora's Mask 3D follows in the footsteps of The Legend of Zelda: Ocarina of Time 3D, which launched for the Nintendo 3DS system in 2011. Like that game, The Legend of Zelda: Majora's Mask 3D is a reimagined version of a classic Nintendo 64 game with updated 3D graphics and new features. There is a reason The Legend of Zelda: Majora's Mask is loved by fans all over the world. 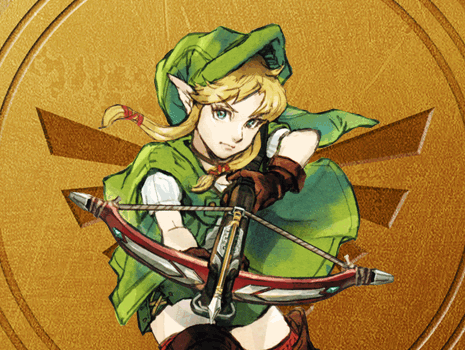 It is one of the most unique and suspenseful entries in The Legend of Zelda series, one that critics and fans have called a true masterpiece. The game finds players solving puzzles, battling enemies and controlling time itself to help Link save the mysterious world of Termina and its terrified inhabitants from being crushed by the moon. By releasing this one-of-a-kind adventure for the Nintendo 3DS family of systems, a new generation of fans can experience the dark, twisted, fantastic adventure for the first time. For more information about The Legend of Zelda: Majora's Mask 3D, visit //zelda.com/majoras-mask.